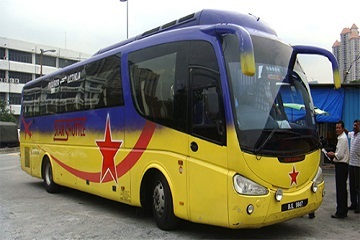 Star Shuttle is a well-known bus operator based in Kuala Lumpur that specializes in bus services from Kuala Lumpur to KLIA and KLIA 2. 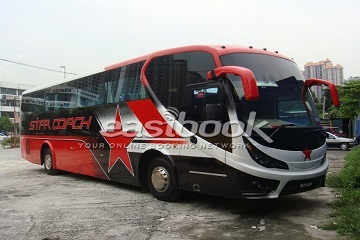 Star Shuttle delivers quality services at affordable price. The express bus price ticket from Pudu Sentral (Puduraya) to KLIA or KLIA2 is RM 12 per person. Besides, the bus ticket price from Batu Tiga to KLIA or KLIA2 is the same as the price from Pudu Sentral to KLIA or KLIA2 which is RM 12 per person. The buses offered by Star Shuttle are single deck with 30 seats. In addition, it also offers buses in double deck with 45 seats. The buses are equipped with air-conditioning and luxury chairs to ensure passengers have a comfortable trip. For entertainment, Star Shuttle offers Wifi service and on-board television to the passengers while their are on their way to the airport or return from the airport. 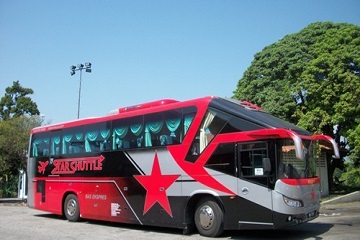 Star Shuttle takes pride in the quality of their service, making sure you will have a pleasant journey to the airport. 519 Jalan Tiong Off, Batu 3, 51200 Kuala Lumpur.